Owner is willing to give $5,000 toward closing costs. If you are searching for peace and quiet, this is the home for your family. 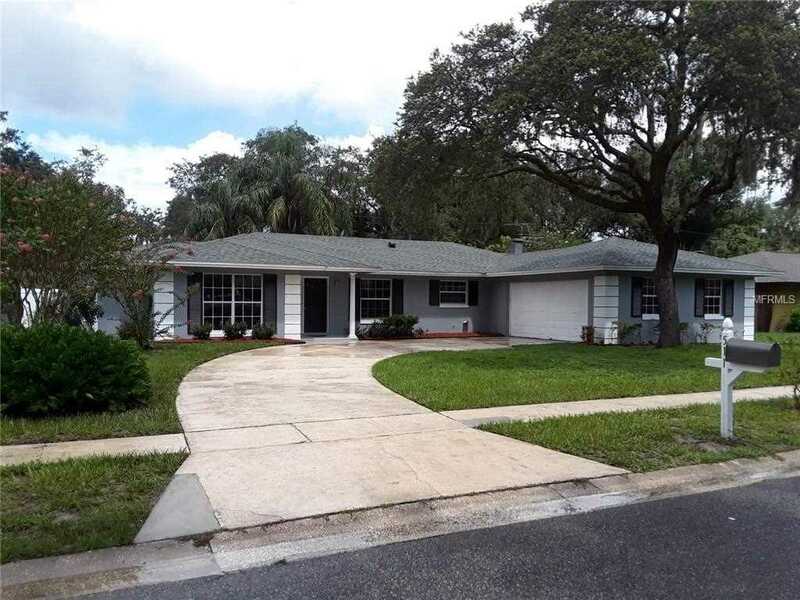 Lovely fully remodeled home in Altamonte Springs on a quiet cul-de-sac. This home features an open floor plan that enhances the elegant fireplace found in the family room. Kitchen, dining and family have a modern wood-look tile. The four bedrooms and the formal living area have bamboo flooring. Master bath boasts a large shower with frameless glass and a beautiful exotic tile. The second bathroom has double vanities, perfect for guests or for the kiddos in the family. Lots of closets throughout. The kitchen has brand new stainless steel appliances and all new wood cabinets with a lovely granite countertop. It also features a raised breakfast bar which makes it easy when serving your family. There is an inside laundry room off the kitchen with a door to the side yard. The screened porch has two ceiling fans and a built-in pizza oven. The back yard has three tall and elegant palm trees from which you can hang a hammock and relax. It also has a very pretty and durable vinyl fence on the side and back, which raises the home's value and looks great. . Buyer is responsible for checking information on listing. Lot Size: 0.27 Acres / 11642 Sq. Ft.
SchoolsClick map icons below to view information for schools near 511 Puerta Court Altamonte Springs, FL 32701. MFRMLS data last updated at April 19, 2019 11:43:19 AM PST. Home for sale at 511 Puerta Court Altamonte Springs, FL 32701. Description: The home at 511 Puerta Court Altamonte Springs, FL 32701 with the MLS Number O5743103 is currently listed at $334,000 and has been on the Altamonte Springs market for 164 days. You are viewing the MLS property details of the home for sale at 511 Puerta Court Altamonte Springs, FL 32701, which is located in the La Floresta Unit 2 subdivision, includes 4 bedrooms and 2 bathrooms, and has approximately 2242 sq.ft. of living area.